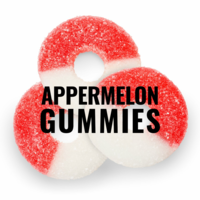 Jolly Ranchers Apple Watermelon Gummies were the inspiration behind this recipe. Damn tasty as a S&V. Very interesting flavor. Strangely addictive.